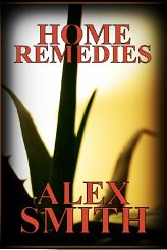 I have not given much thought to tinctures, salves and poultices until I read the e-book Home Remedies by Alex Smith. We will get back to what they are in a bit. First, let’s talk about the book. Home Remedies is exactly that: a book that gives cures for common ailments using easy to find household items. The conditions are listed in alphabetical order, making things easy to find. One thing I did not expect was, the book also gives tips for general cleaning, deodorizing, doing laundry… even starting an herb garden. It even includes home remedies for pets! Now back to tinctures, salves and poultices… The book gives great definitions of the terms used, as well as examples throughout the book. Tincture is a mixture created by soaking an herb in alcohol or vinegar, helping draw out the properties of the herb, while preserving it. Salve is an oil with wax added. A poultice is comprised of a bandage combined with a paste or moist mixture and is placed on a wound, rash or other affected area. Cherries are good for the nervous system and stress relief. Eating caraway seeds can calm an upset stomach. I don’t want to give away too much… you’ll have to read the book to find out more. It’s a good book to have around, to help you find simple home remedies for quick relief, until you can get to a doctor. You get lots of “good to know” tips at $3.99 for the Kindle edition. It is also available on paperback.